We always aim for perfect customer experience, but life doesn’t always cooperate. And as much as we try things might not work out sometimes. If for any reason you are not 100% satisfied with our cleaning please contact us as soon as possible. We will do our best to resolve the issue to your satisfaction. We might stop by again and correct the problem, or reclean the problem area. We might also give you a partial of full refund of your money. In the end YOU are the person to decide how much you are going to pay for that service and we will honor that. 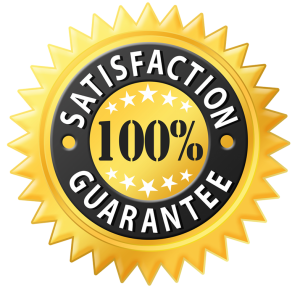 That is how our guarantee works.